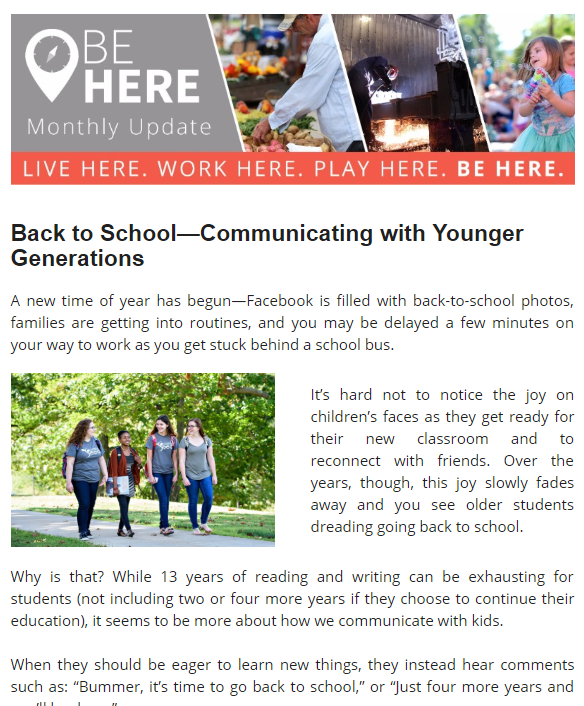 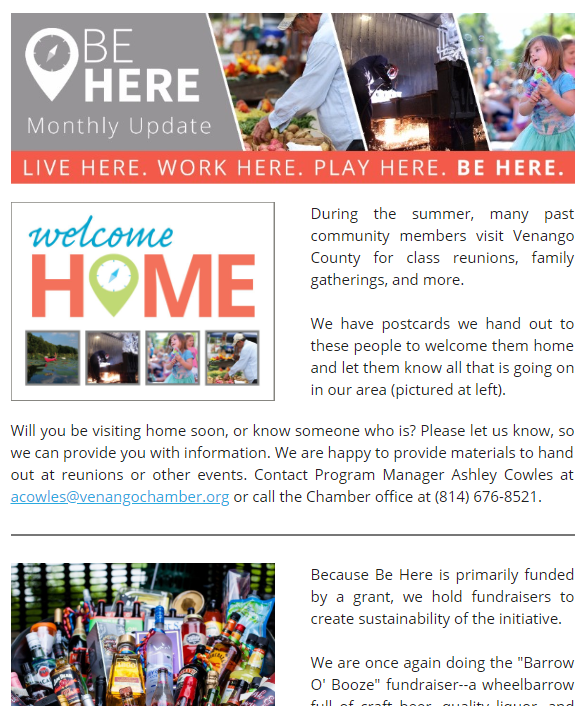 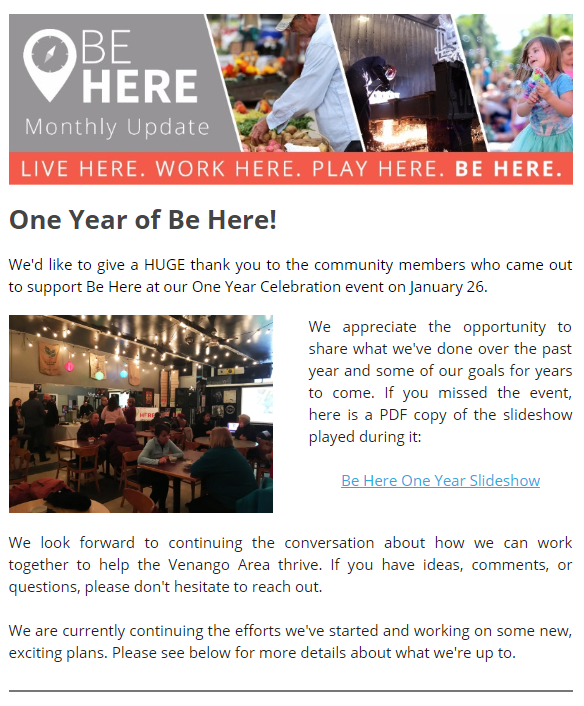 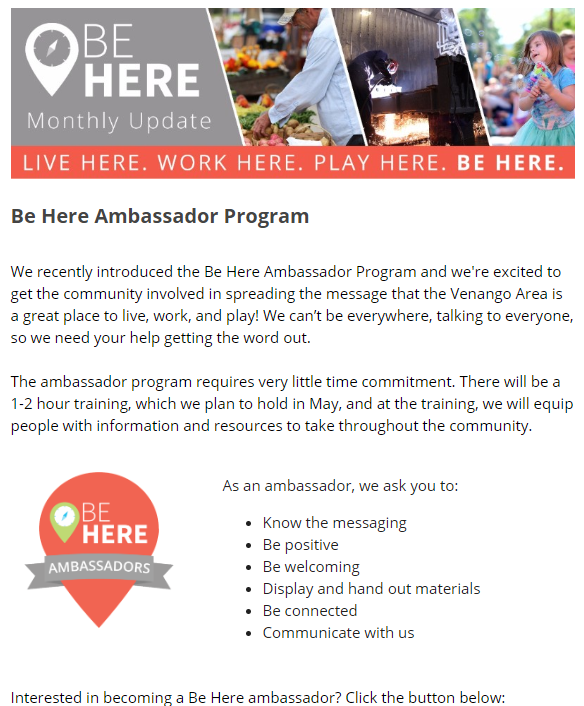 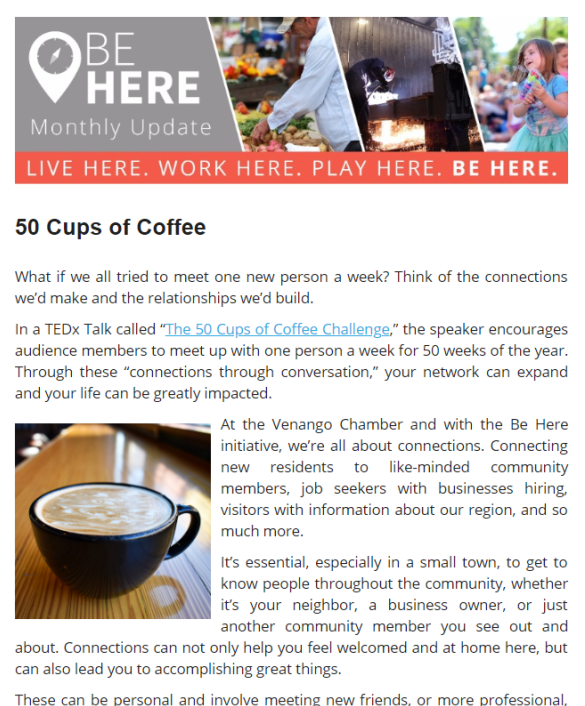 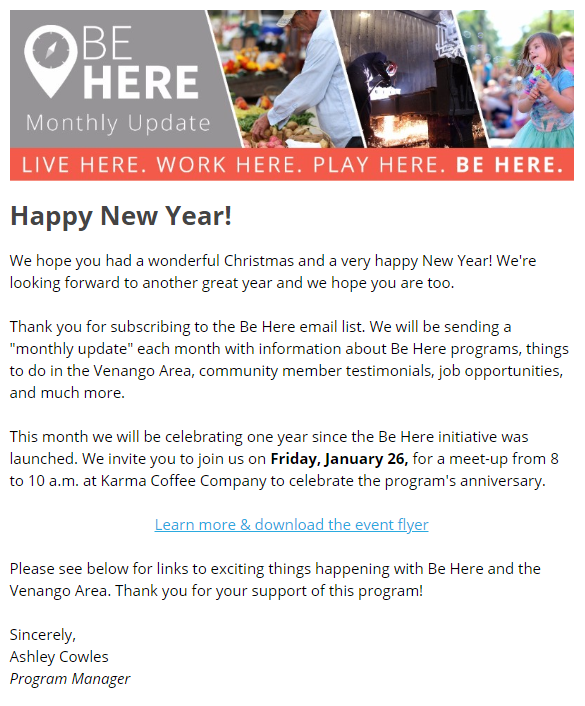 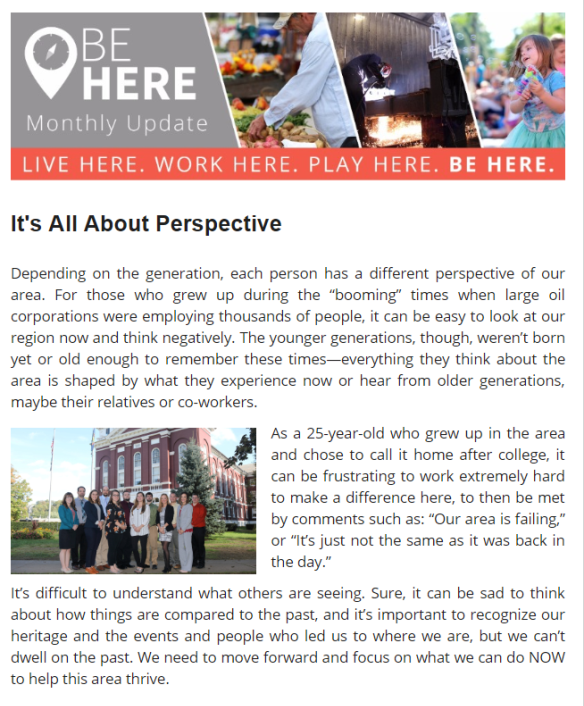 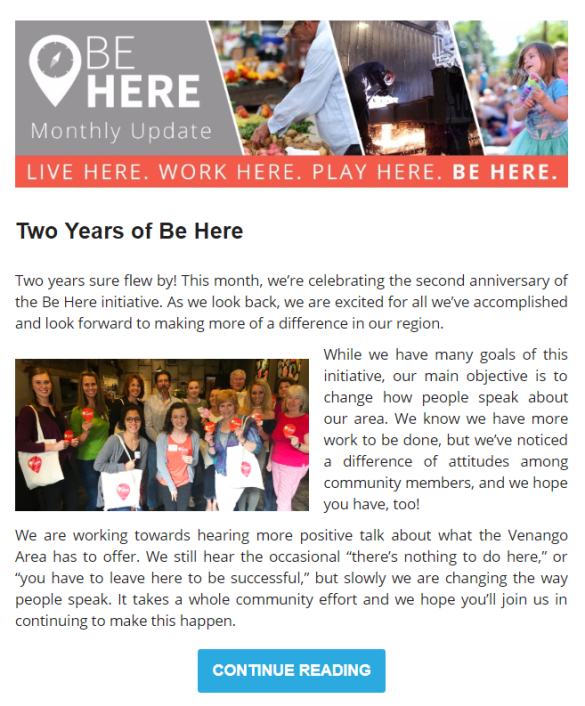 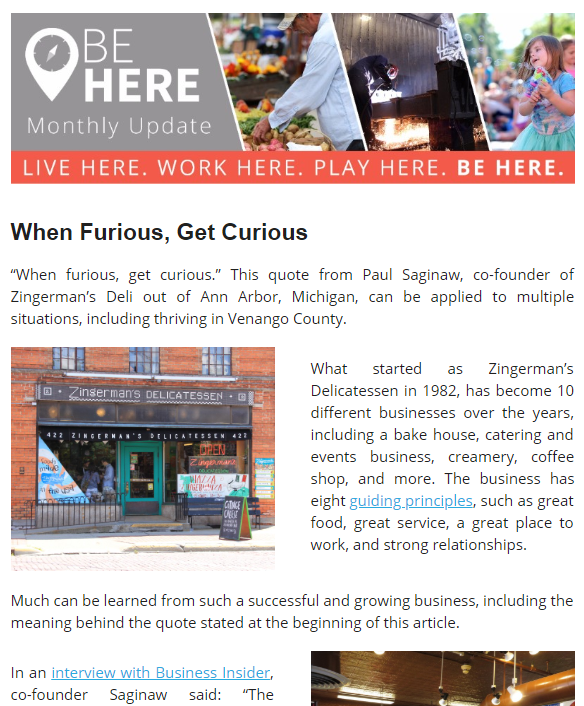 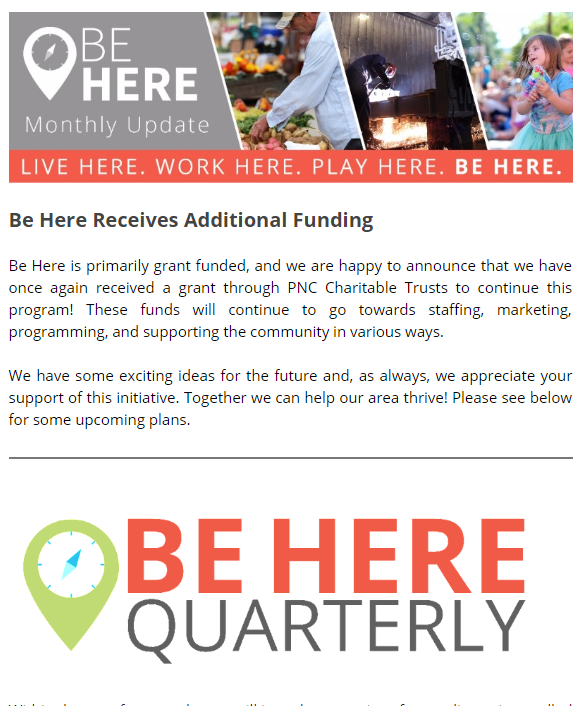 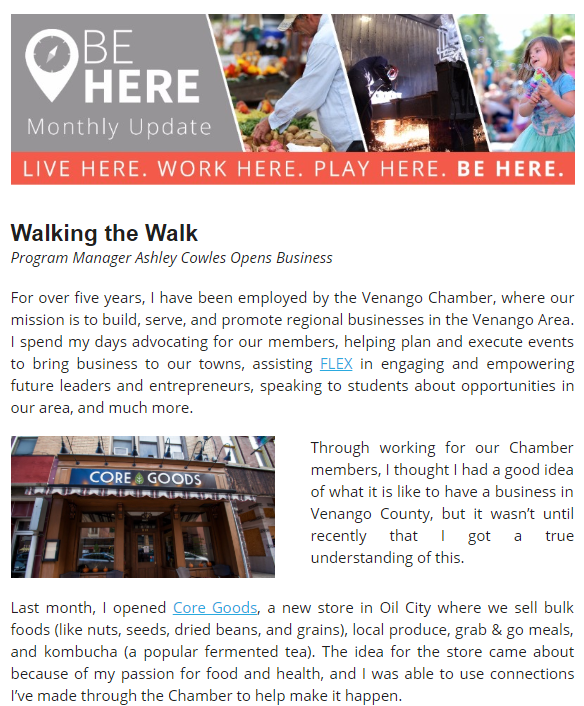 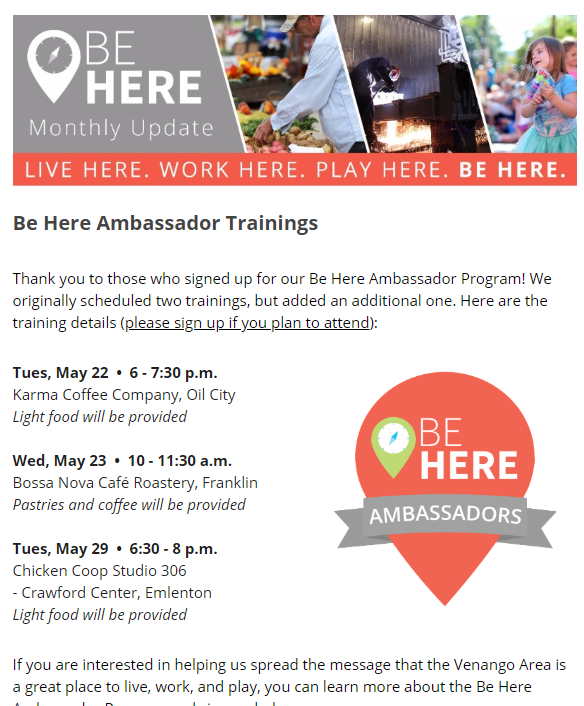 Each month, we send out an email with updates on the Be Here initiative. 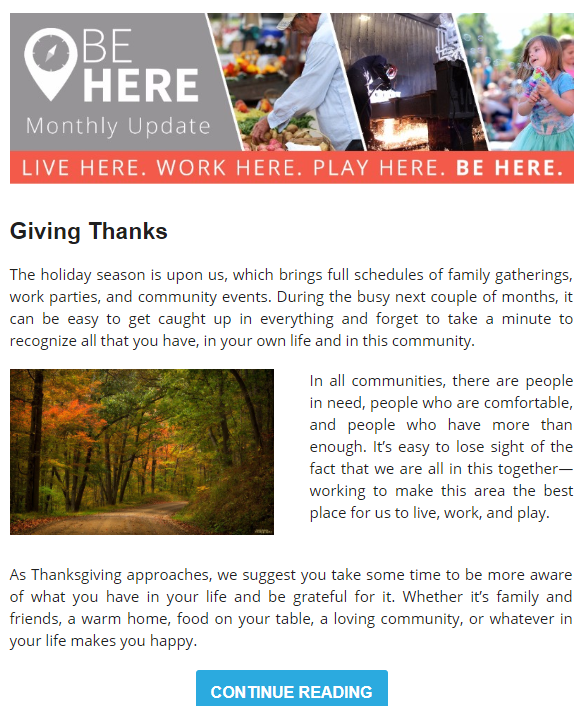 In it, we include informational articles, upcoming events, community member testimonials, and more. 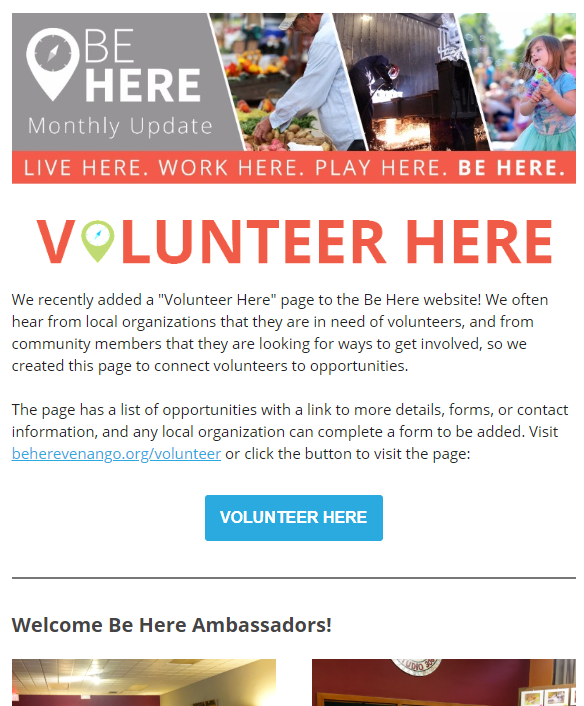 You can find links to past emails below, and click the button to be added to the email list.